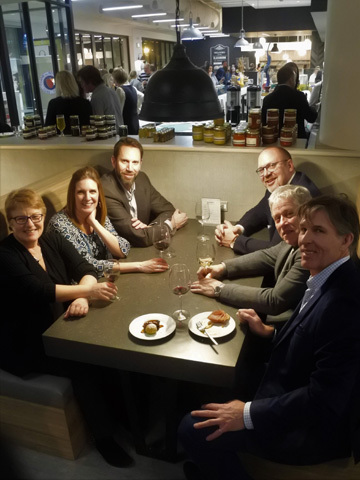 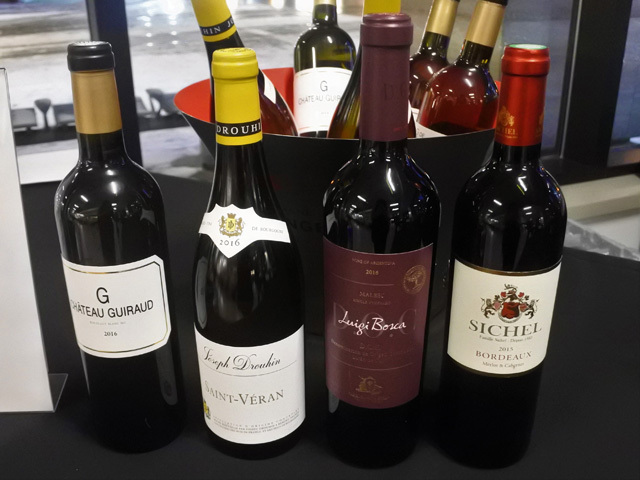 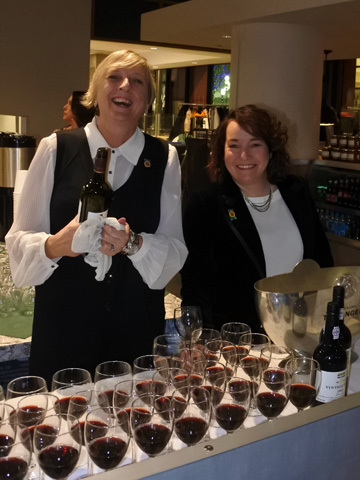 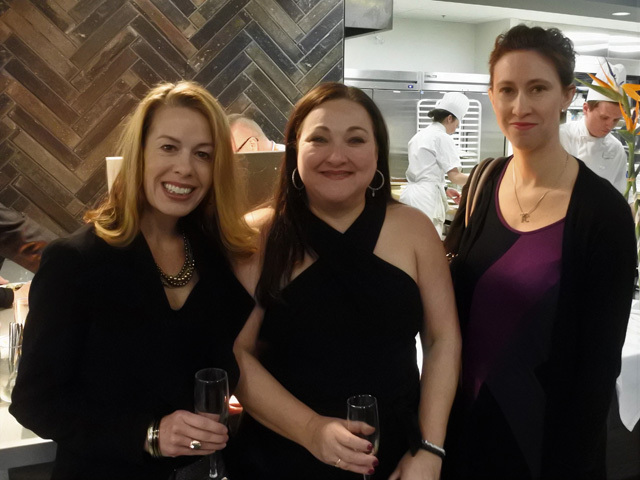 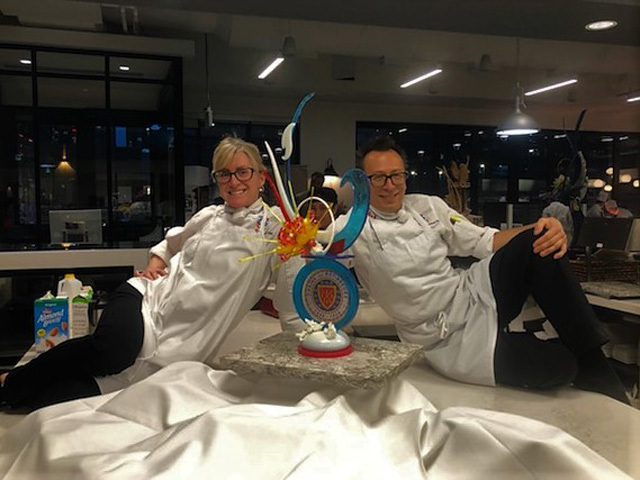 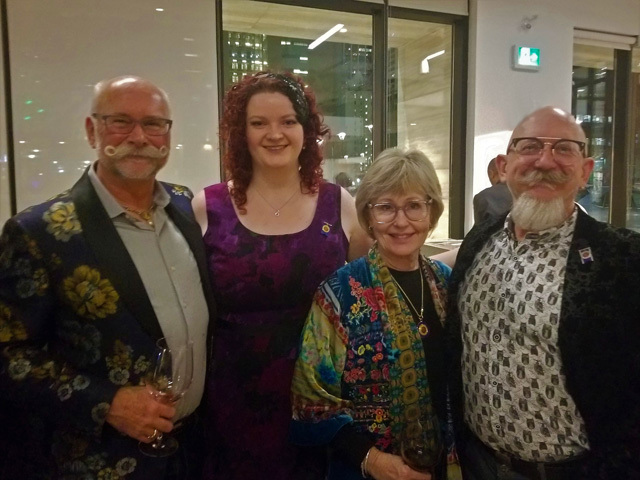 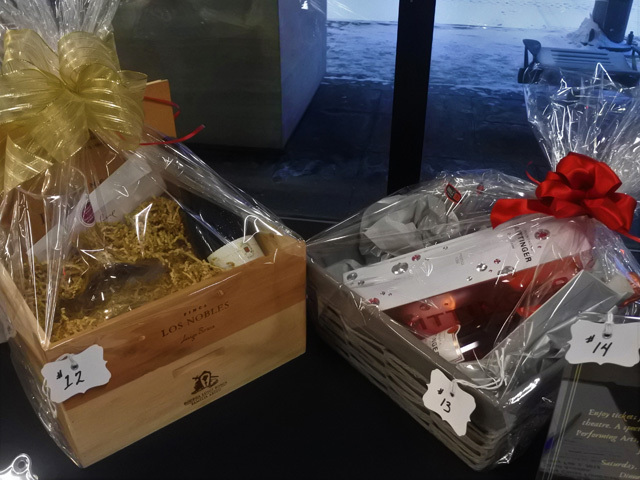 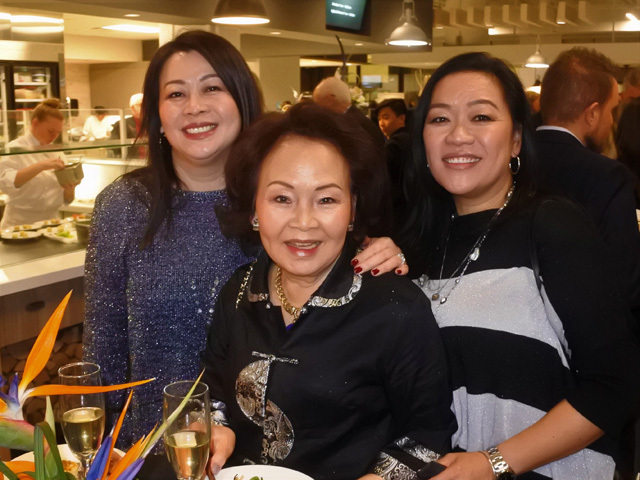 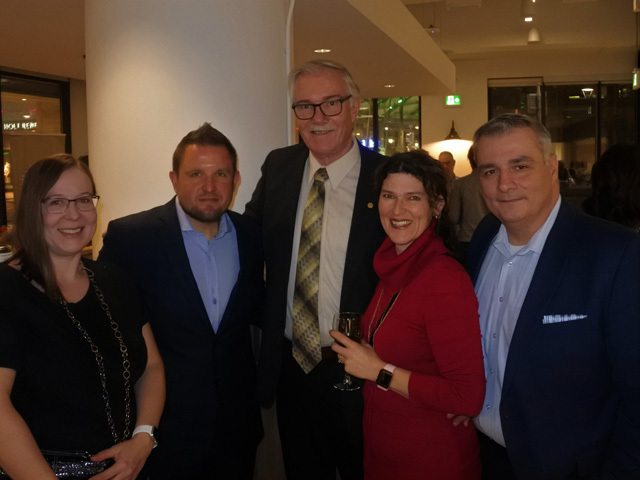 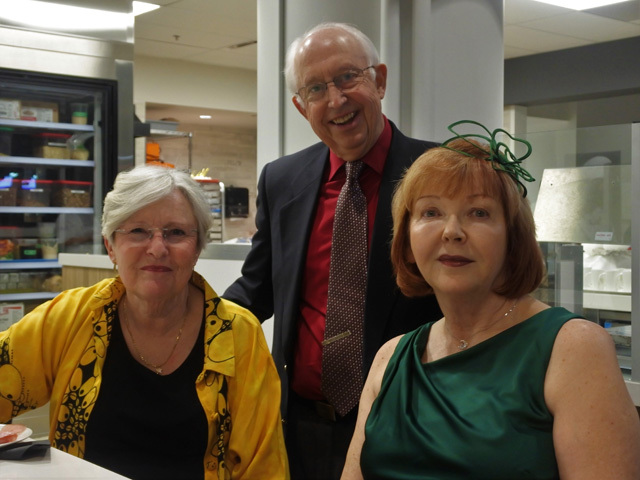 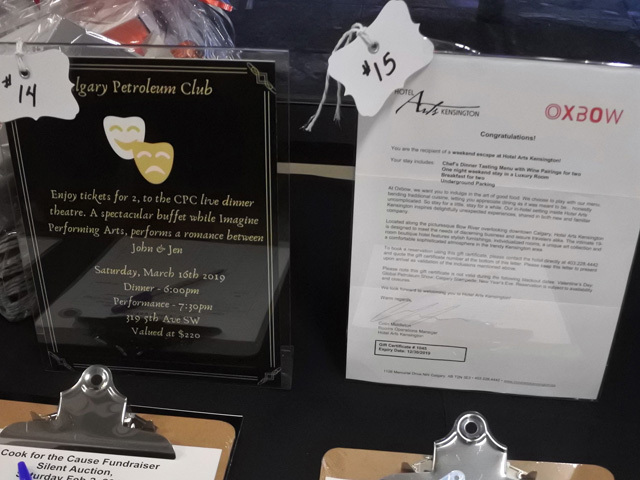 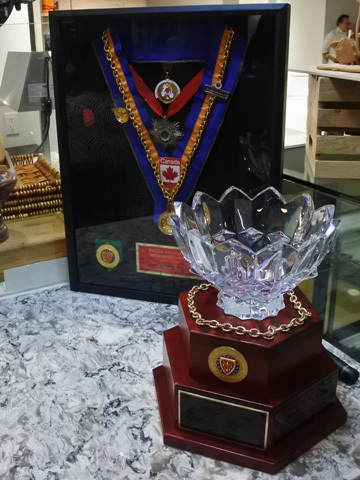 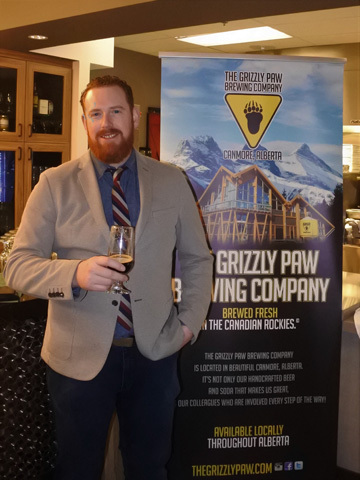 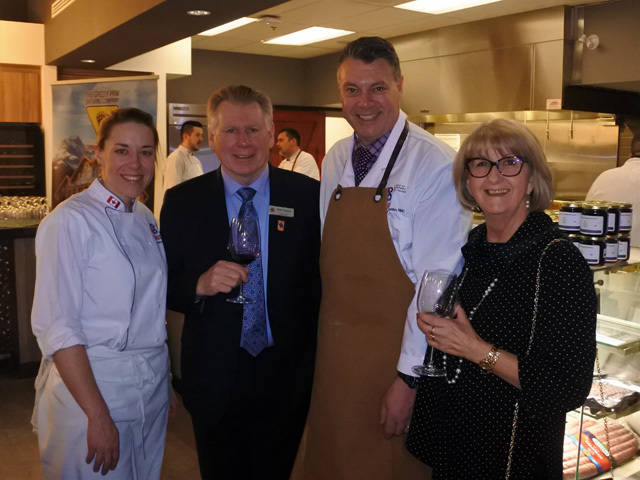 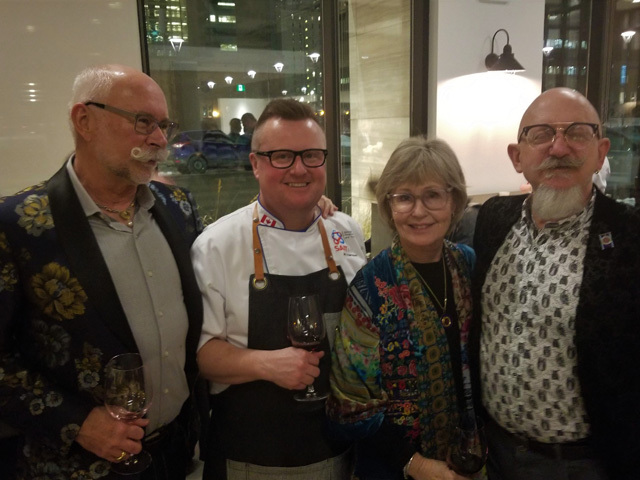 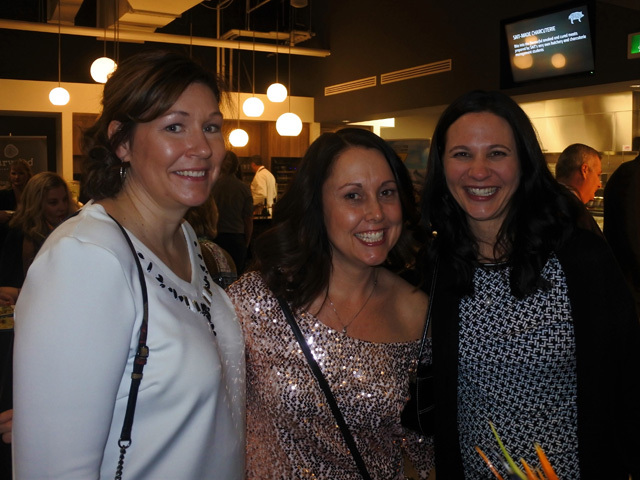 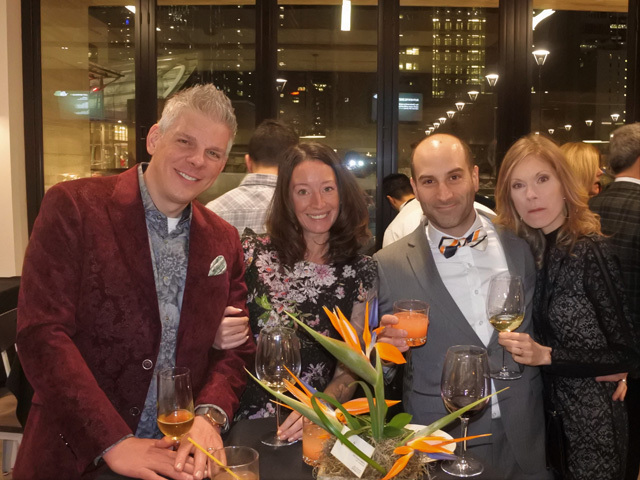 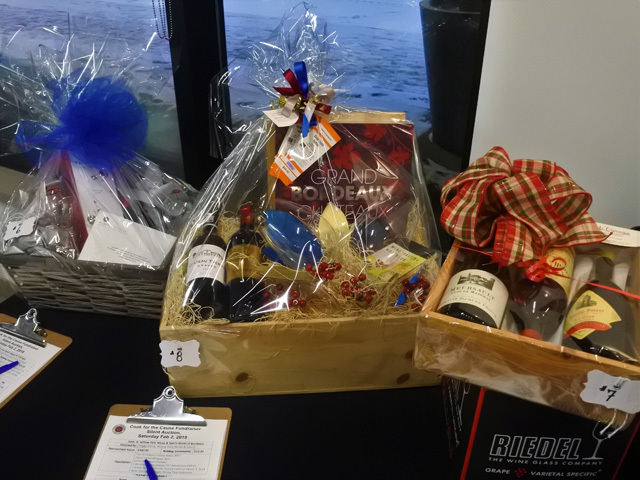 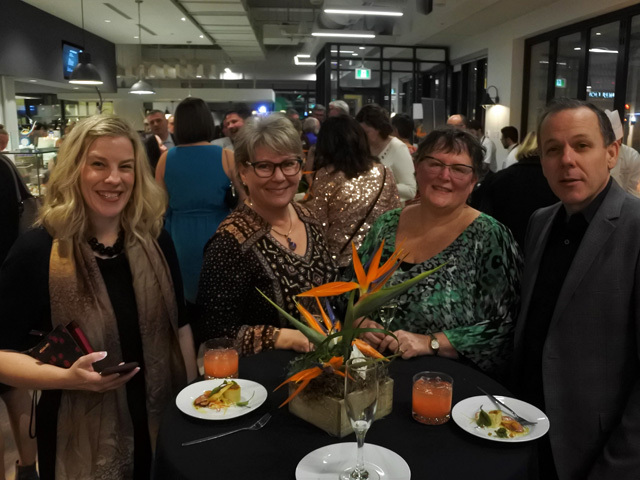 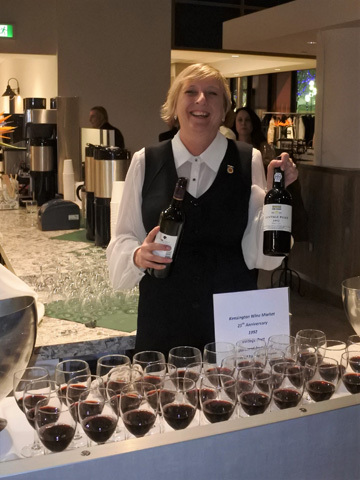 On a frosty, who are we kidding it was freezing, minus 22⁰C February evening, members and friends of Chaîne Calgary gathered at SAIT Tastemarket to celebrate Cook for the Cause, raising funds for SAIT scholarships, Jeunes Chefs, and Jeunes Sommeliers competitions. 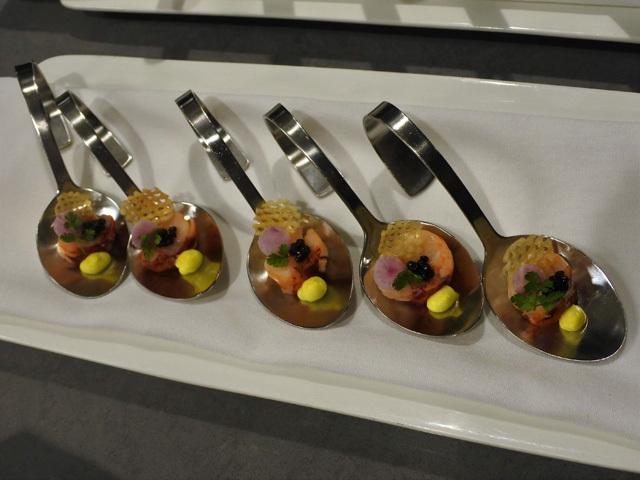 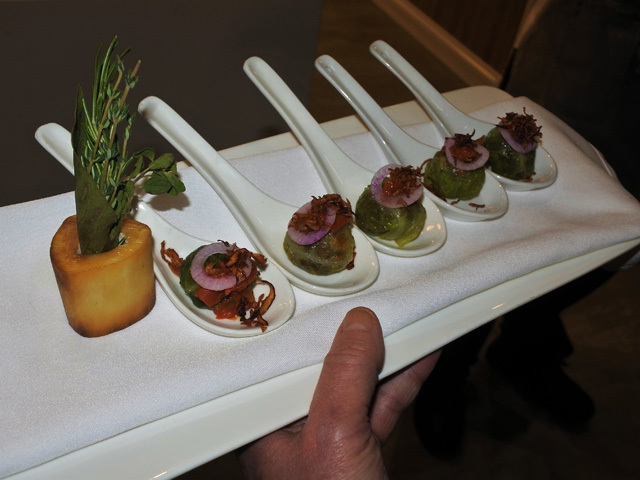 Guests were greeted with flutes of Taittinger Champagne along with three artistic appetizers, created by SAIT Chef Steve Lapine. 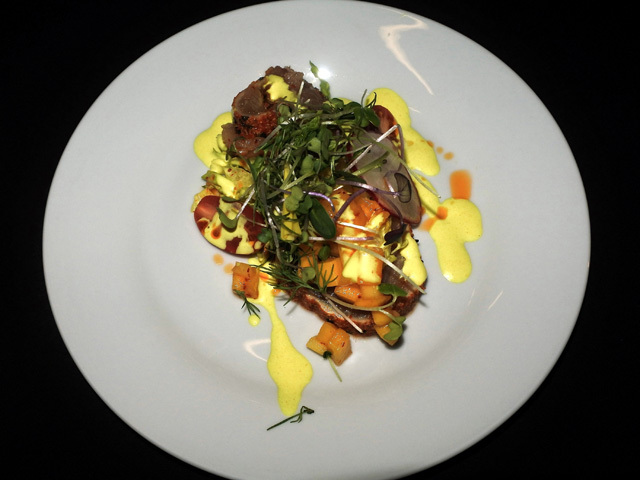 Osso bucco with cabbage, truffle ricotta tortellini, and butter poached lobster with potato. 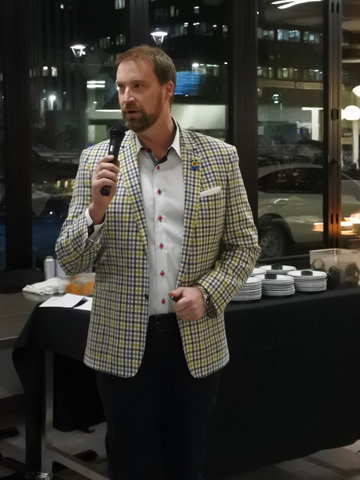 Welcoming words from our emcee Joe Scorgie, introduced our guests to the evening. 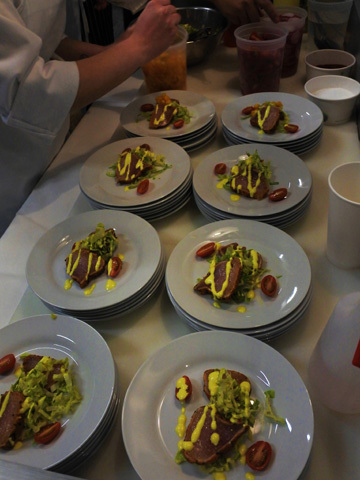 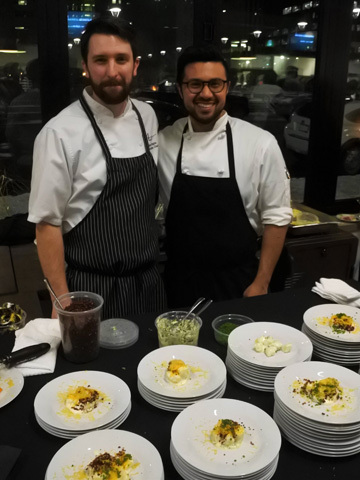 The first station, courtesy of Chef Rogelio Herrera of Alloy delighted us with a togarashi crusted Albicore Tuna, pickled mango, citrus dressing, and sheared romaine. 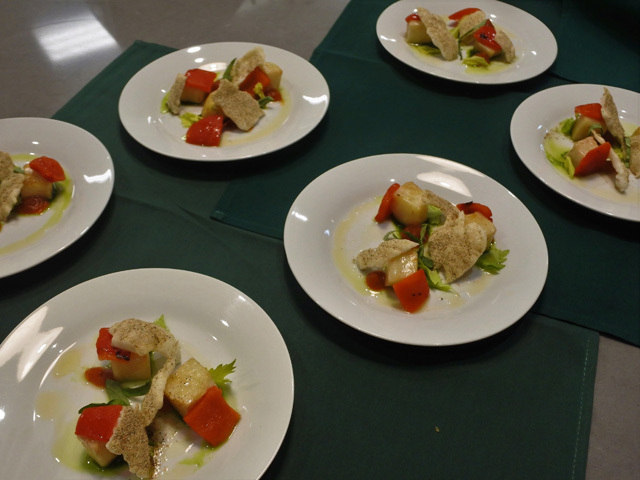 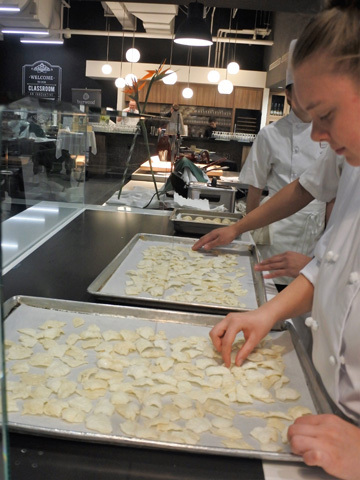 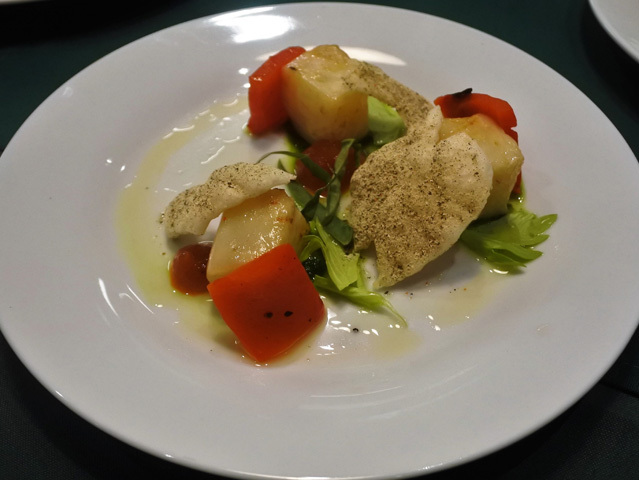 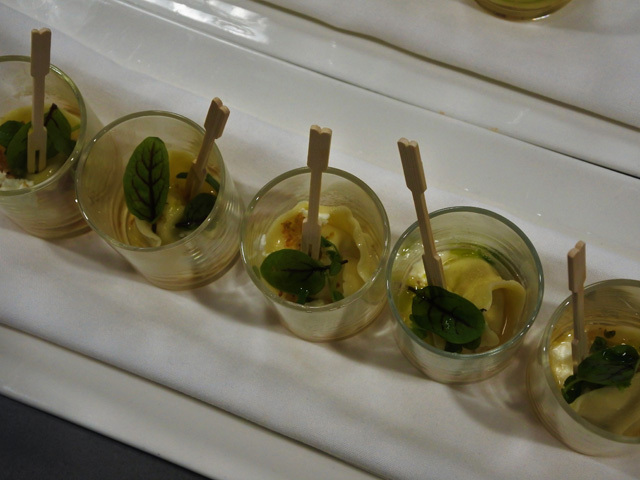 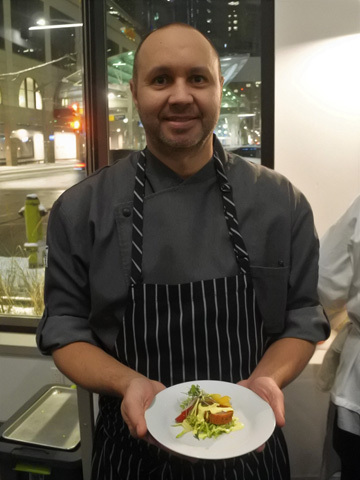 The following station offered a creation by Chef Rosalyn Ediger from SAIT, a flavoursome vegetarian dish of confit celery root, sweet roasted peppers, basil, onion crisps, and chili oil. 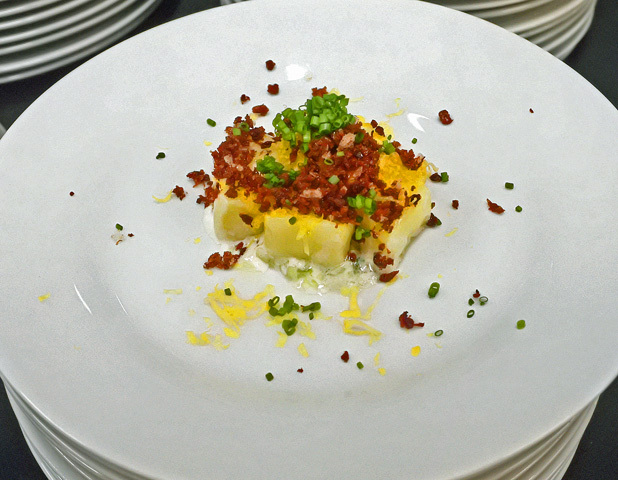 Quinn Staple joined us from Hotel Arts, sampling a luscious deconstructed baked potato, potato gnocchi along with crème fraiche, chives and bacon bits, topped with grated mimolette. 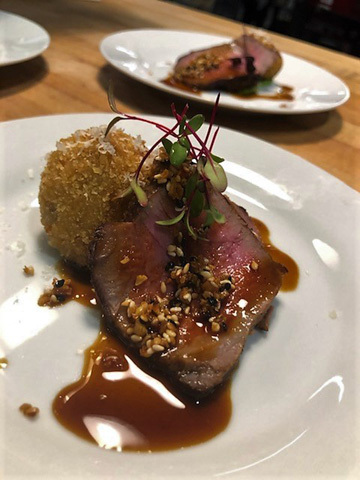 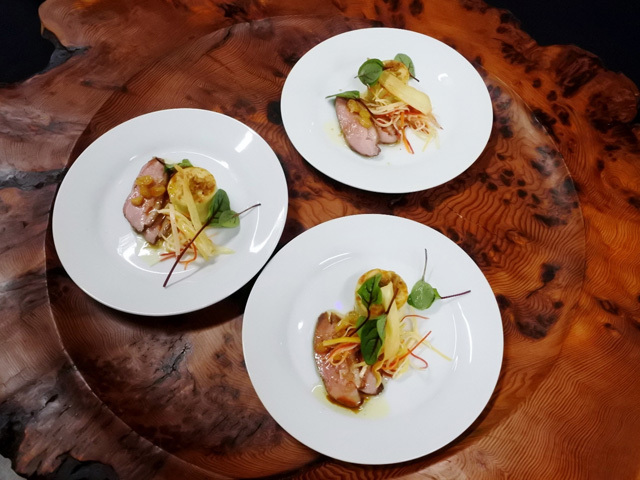 Next Chef Andrew Springett from SAIT, served a perfectly tender smoked duck breast, parsnip parfait, salad and crisp, and golden raisin sauce. 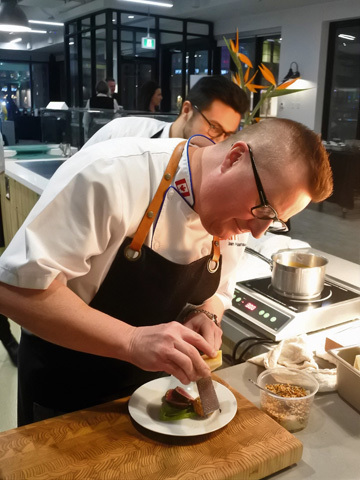 Followed by Chef Jan Hansen serving Vietnamese shaking beef striploin, basil infused pea puree, accompanied by flawless wild mushroom aranchini. 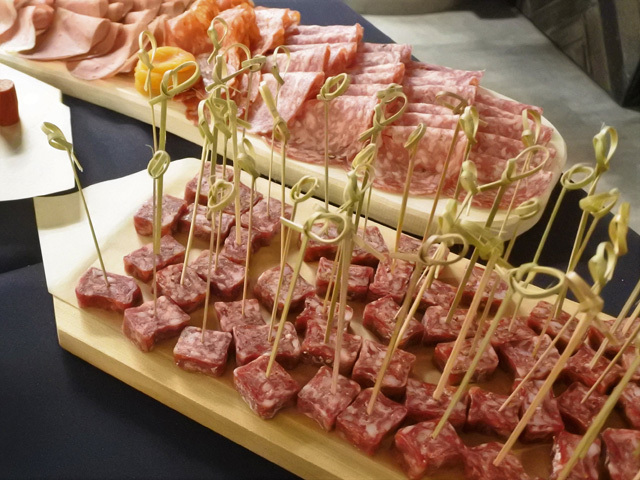 Beyond that was a cheese and charcuterie station. 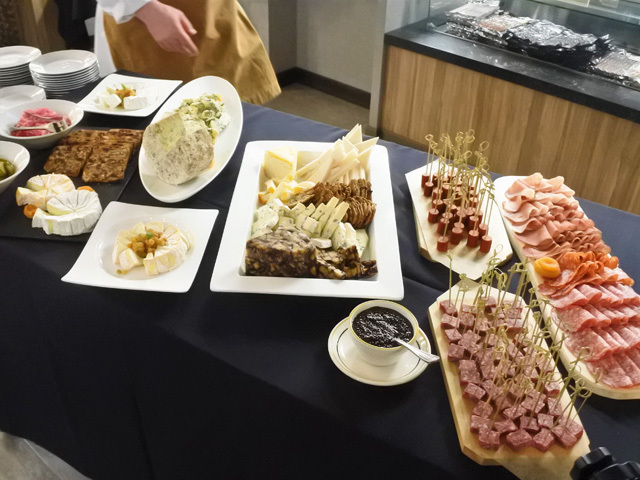 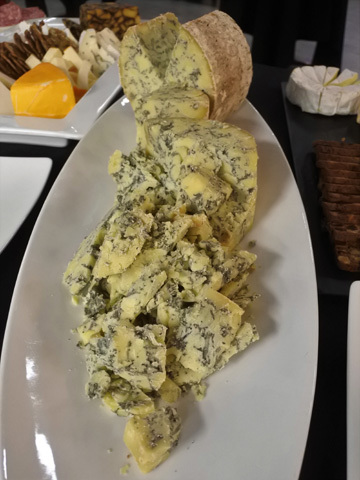 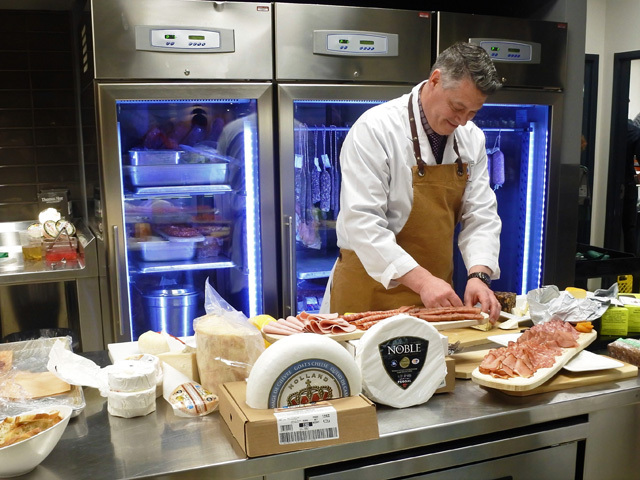 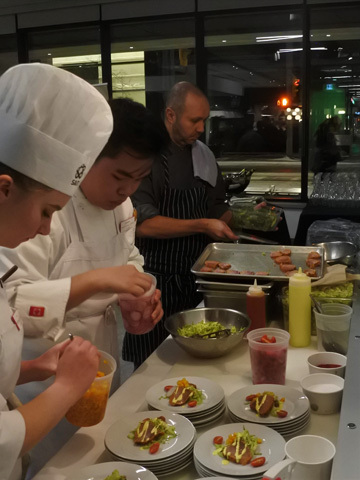 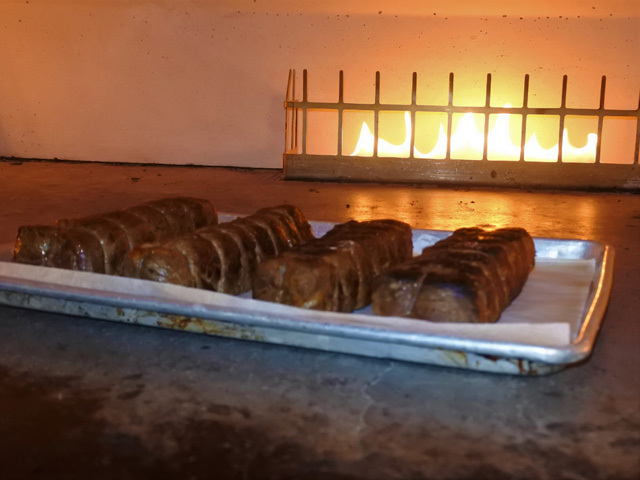 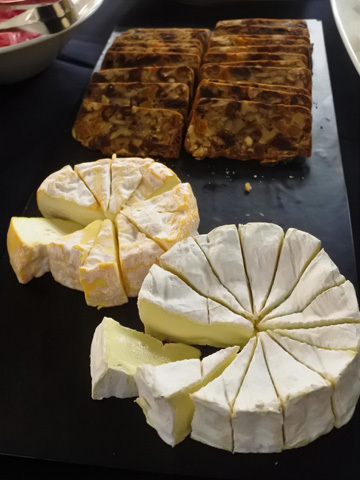 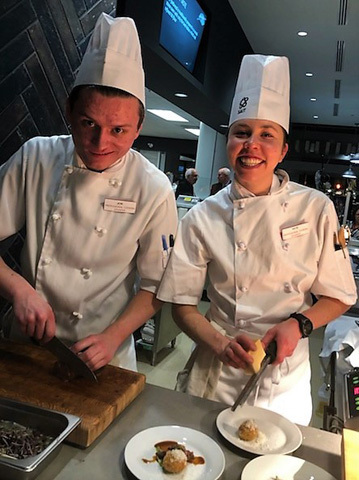 The charcuterie was skillfully prepared by SAIT students, served alongside an enticing selection of cheeses donated by Worldwide Specialty Foods Ltd. SAIT chefs supervising the charcuterie were Chef Desmond Johnston and Chef Georg Windisch. 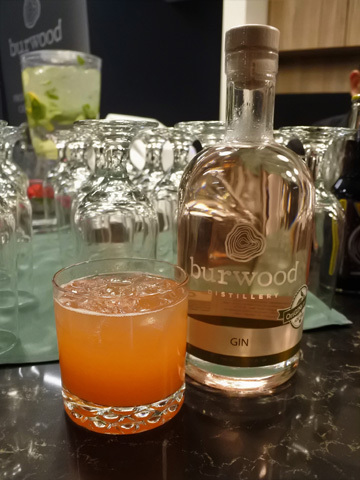 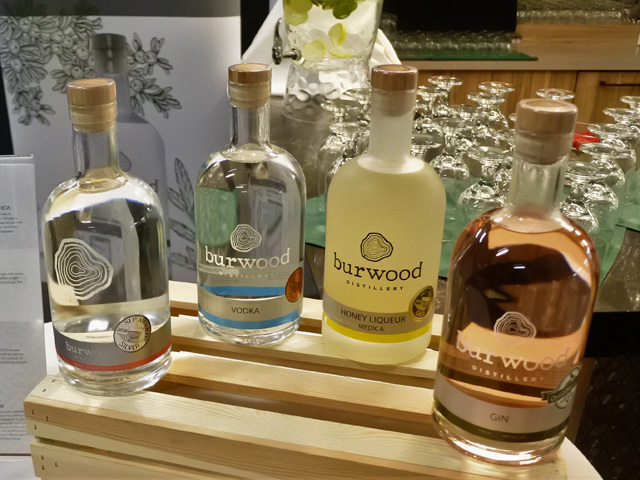 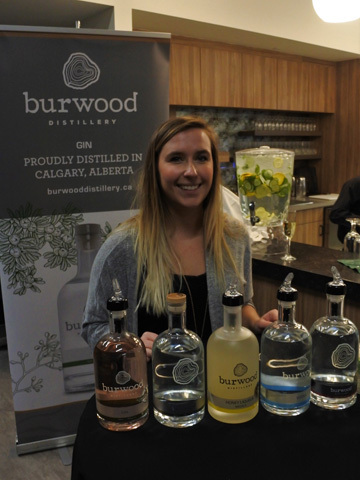 Next to the bar, Carlie Latta from Burwood distilleries was sampling their brands Gin, Vodka, Medica: Honey Liqueur, and Honey Eau de Vie. 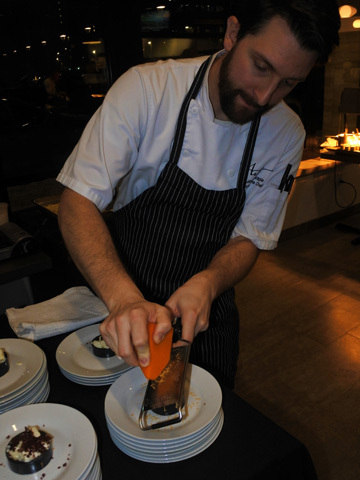 Steven Martinson created a unique champagne cocktail that was refreshing and summery. 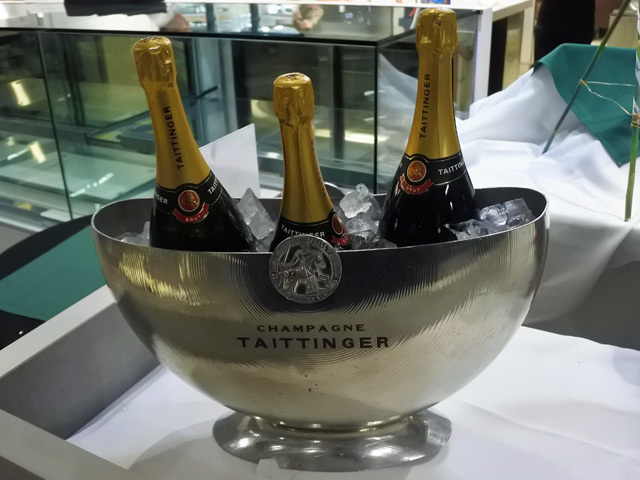 Transporting us, it could have been July! 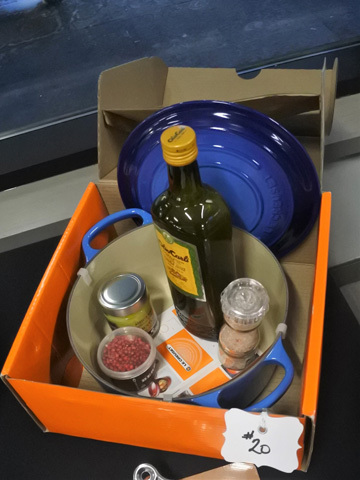 Here’s hoping the recipe soon follows. 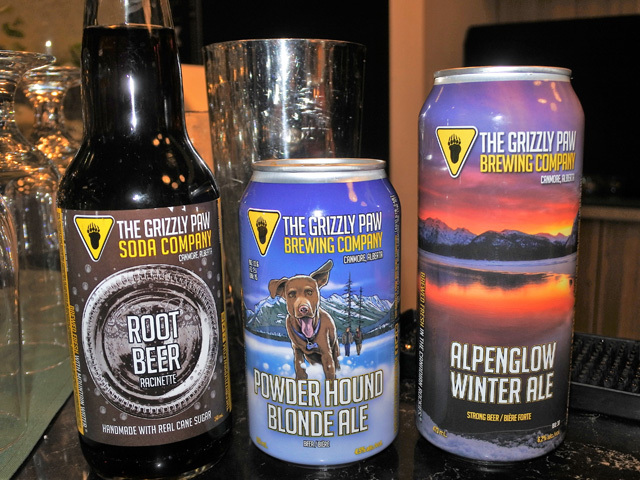 In addition at the bar were a tempting trio of The Grizzly Paws beverages, a Root Beer, Powder Hound Pale Ale, and Alpenglow Winter Ale. 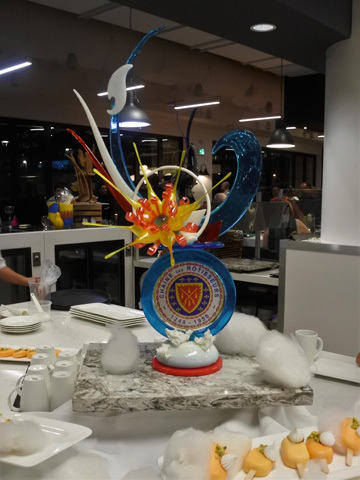 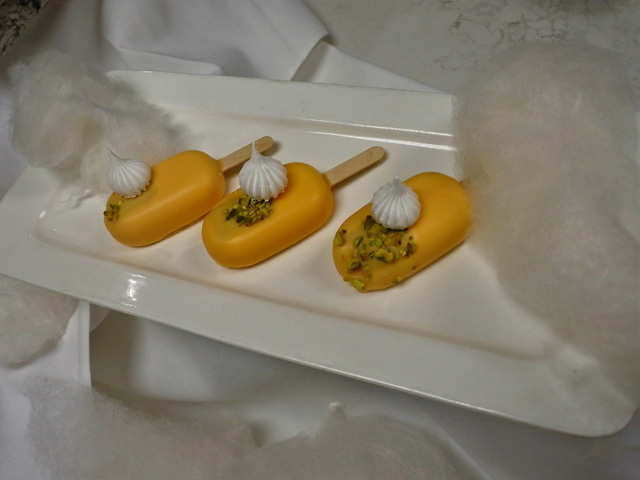 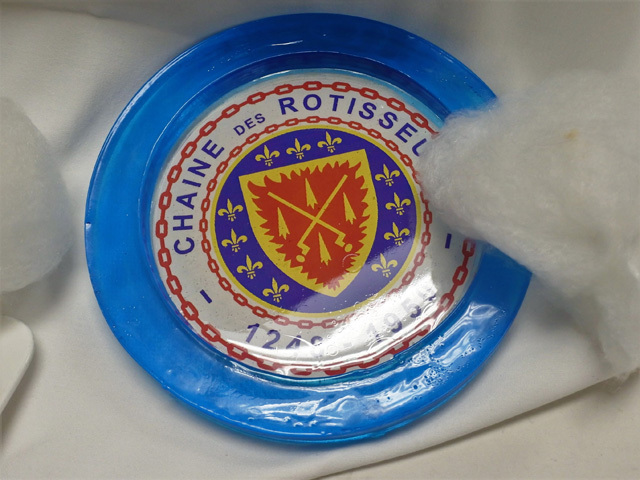 For dessert SAIT provided an orange pistachio creamsicle with cotton candy, served beneath a superb sugar statue created by Christine Beard, incorporating a sugar Chaîne plate, along with another sugar Chaîne plate among the cotton candy. 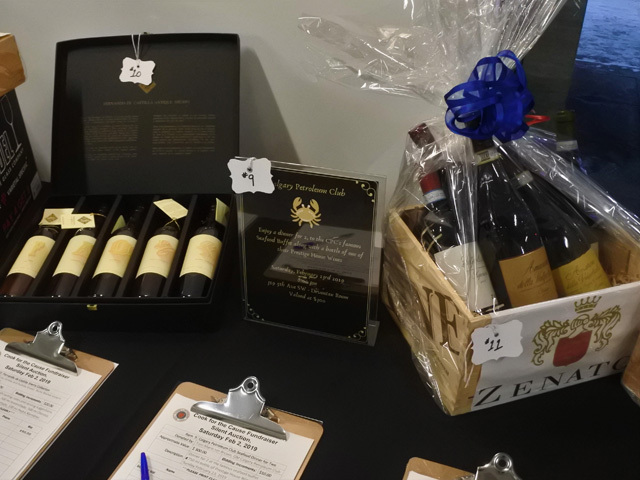 Completing the evening, we sampled Kensington Wine Market’s 25th anniversary 1992 Vintage Port, from the cellars of Taylor Fladgate. 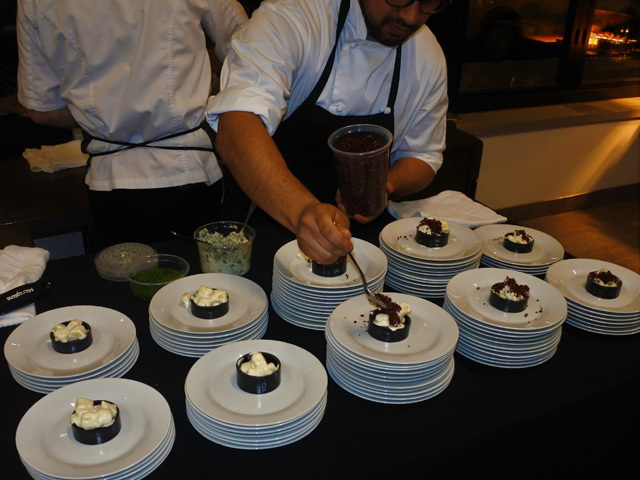 Our grateful thanks to all the chefs who participated. 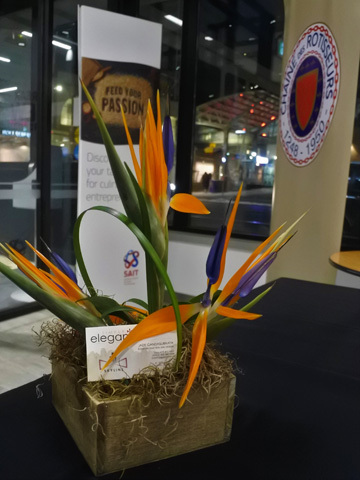 Thank you to Simply Elegant for the bird of paradise floral arrangements, adding tropical colour, helping everyone at least for a little while, to forget the chill awaiting us. 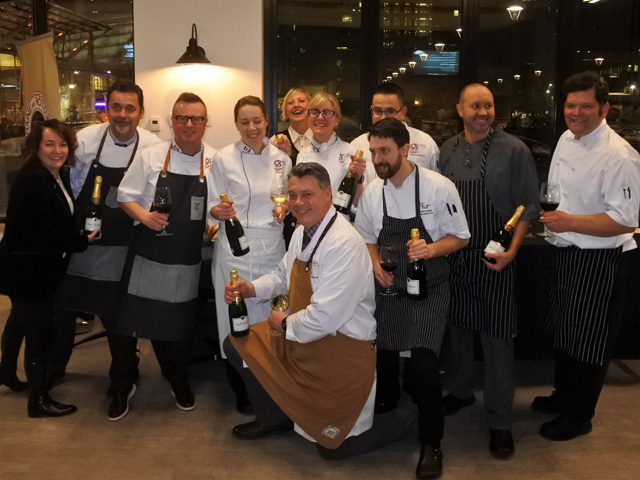 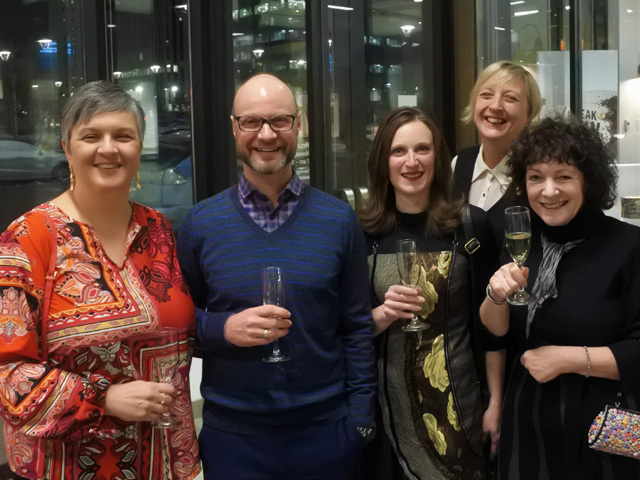 Last but never least, an enormous thank you to all the guests who braved the cold to join us making this an evening to remember. 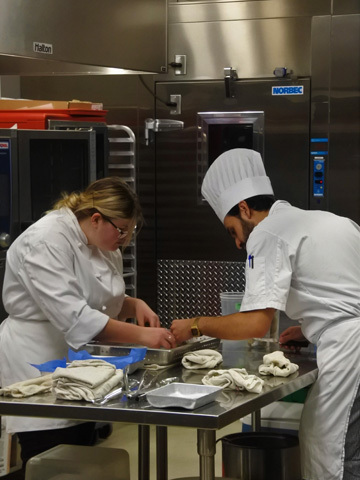 We cannot begin to express our gratitude to you for your supporting future generations of Chefs.